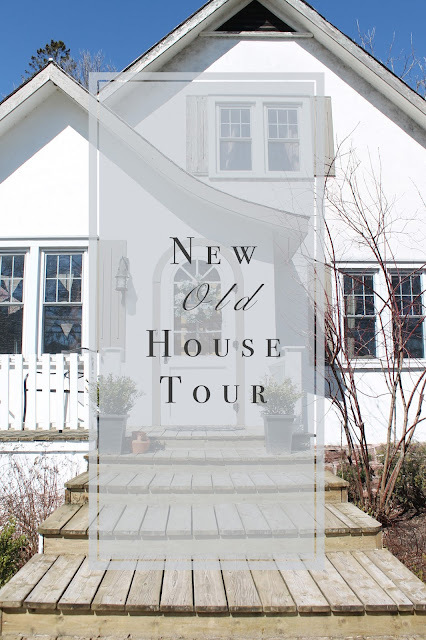 Ohhh Lulu...: New Old House Tour: The Good, the bad, and the ugly. 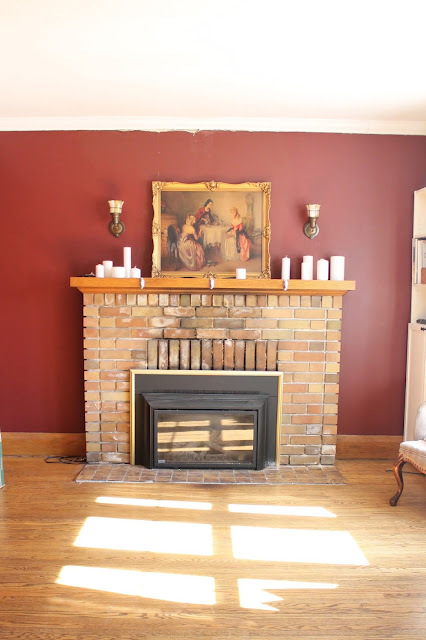 New Old House Tour: The Good, the bad, and the ugly. I want to start this post by saying "I love our new house." It really is beautiful with lots of old-fashioned charm. That being said, it has a lot of "issues." Some of them cosmetic, others a little more serious. This is our second house purchase. Our second old house purchase. Our second old, neglected house purchase, because that's up our price range. A lot of the stuff we are doing feels like old hat - like replacing old wood supports with metal jack posts- while other things feel a little more overwhelming (our whole chimney situation). I hope to do a series of posts about the work we are doing in our house, as it's something that I really enjoy! I hope you do too. We kind of moved on a whim, but had been considering relocating for a while. We (mostly me) had some negative experiences in our old neighbourhood and the idea of moving out of town was becoming more appealing. Also, after Isabel was born we were starting to find our starter house a little small, especially since my office had taken over the Master Bedroom. Our yard was tiny, we were next door to a parking lot, on a very busy street. We were just ready for a step up. I kind of happened upon this house one day when I went out for lunch with my cousin. When I saw the outside I immediately needed to see the inside, so I talked to Dan and we went to see it that night! On the drive back to our house that night, we talked about how we both could envision Isabel learning how to ride her bike in the nice, long driveway, or playing in the spacious backyard. So, after getting some second opinions, we bought it. 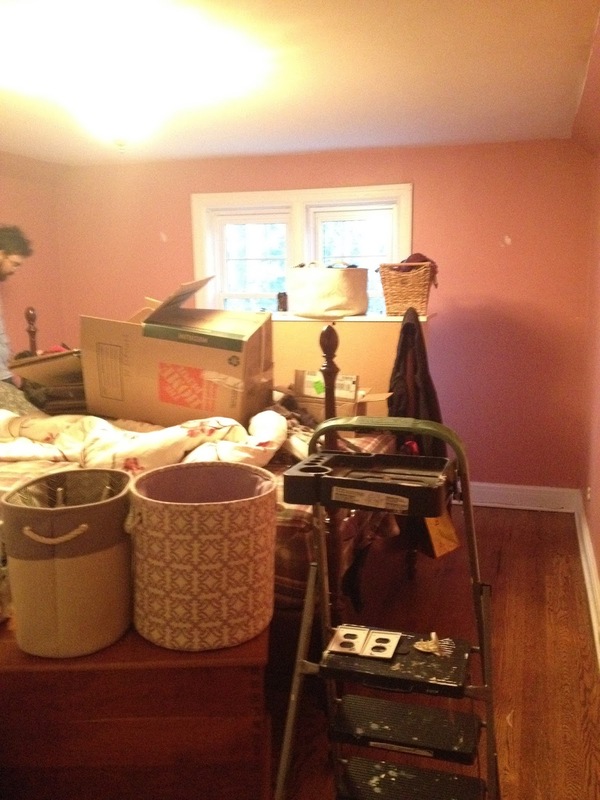 As I had mentioned in an earlier post, the purchase didn't go quite as smoothly as with our first house. I'm still a little irked but in the grand scheme of things, it all has worked out in the end. Over the last 4 months we have been putting so much work (and money!) into the house. The previous owner had done a lot of upgrades but I think over the last few years a few things got a little out of hand, so I'll start with what's Bad. As you can maybe tell, the exterior needs some clean-up and paint, but the biggest problem was the Chimney. In December we had a new furnace installed that wall vents instead of chimney vents so that we could tear down the crumbling masonry. This was a very big job, and I was happy to pay someone else to do this for us! The chimney was in such a state that there was some ice damage in the front room and the fire place will need to be entirely pulled out. 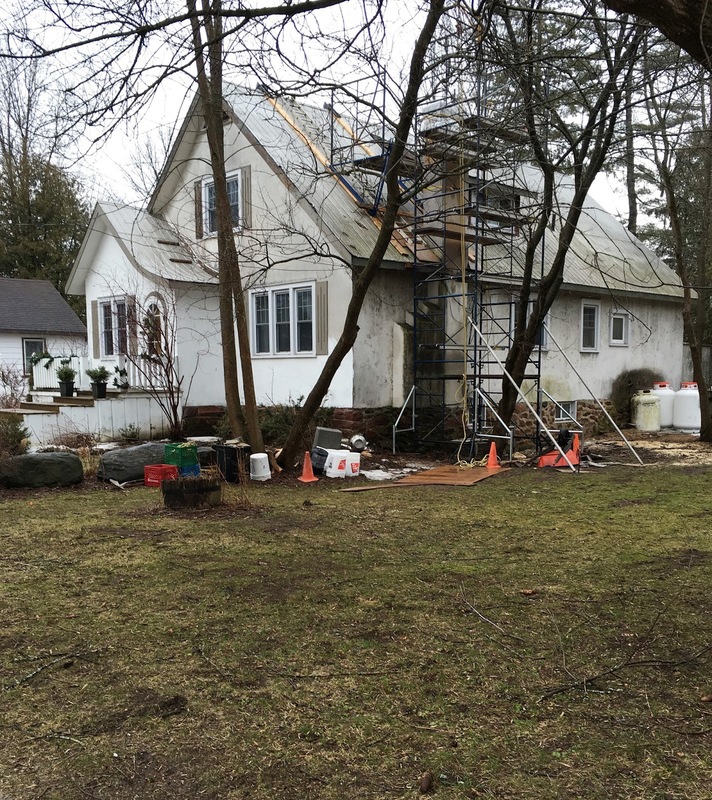 So far we have had the chimney torn down to the roofline and are pondering and saving for the next step. The nice thing about this house is that it is big enough that this room can be kind of blocked off for the time being. In our old house, every square foot was precious. The new furnace and chimney demo were pretty costly for us but I'm glad to have them out of the way. I'm still a little stressed about how we will finish the job, but it will get done! At least now we have stopped any further damage from happening inside. dreaming of turning this into a boutique/fabric shoppe. Eye Spy with my little eye, a blur that looks like Dan. The tile... oh the tile. 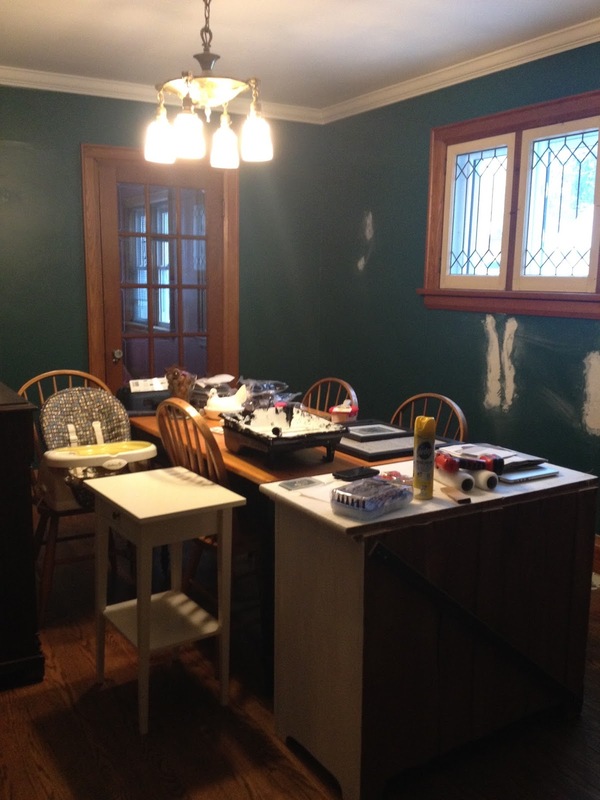 Aside from covering everything in a neutral coat of paint, we've also had to do quite a bit of work in the kitchen. 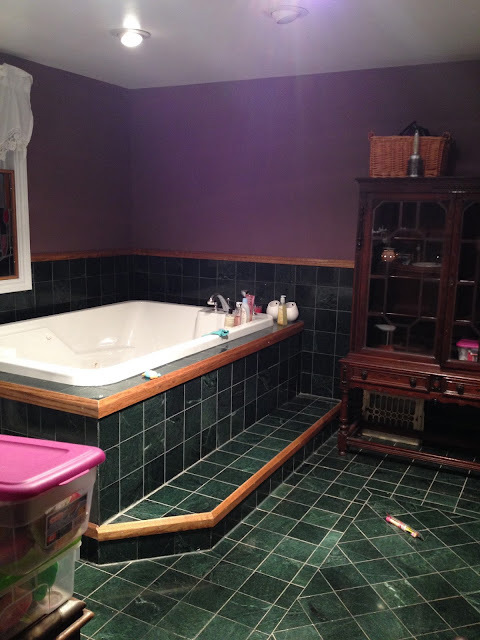 I was able to give the original cupboards a fresh coat of paint, but the room needed new flooring ASAP. Aside from painting and a bit of flooring, we've also had our dryer vents clean (do this! Seriously. dryer vent fires happen), had several large trees taken down that were overhanging our house (another very costly undertaking), replaced jack posts, repaired some plumbing, sealed a leaky window, replaced light fixtures... In other words, we've been pretty busy and still have a lot to do. It feels a little overwhelming when you buy a house like that this needs some serious upfront repair, especially when you are DIY-ing and working with a limited budget, but this house has some great features (which is the Good part of this post): New windows, new wiring, new plumbing, huge deck, newly insulated, relatively new fixtures (though I would like to replace the tub for a more environmentally friendly, smaller version!)... It just needs a little TLC to get it back to where it should be. 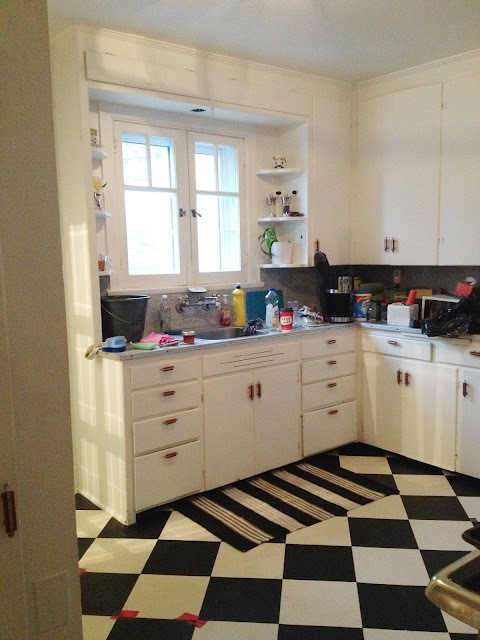 One of the funny things that I love most about this house is it's maze-like layout. I've had three people get lost going from the bathroom to the kitchen, and when I had my nephew over a few weeks ago we had the best time playing hide and go seek. There are so many great little hiding spaces... that's what I love about this house. It's fun. I feel like it will be a fun place for Isabel to grow up. I think we are pretty much down what we will do inside for this year while we build our saving up again! There are extensive gardens that will need my attention for now, and the house is mysteriously only half painted, so we will need to clean the stucco and paint the woodwork. Now that we have finally been having some nicer weather, I've really enjoyed spending time in our beautiful backyard (which I will show you another day). In my next post I hope to show you a little of what we have done inside! 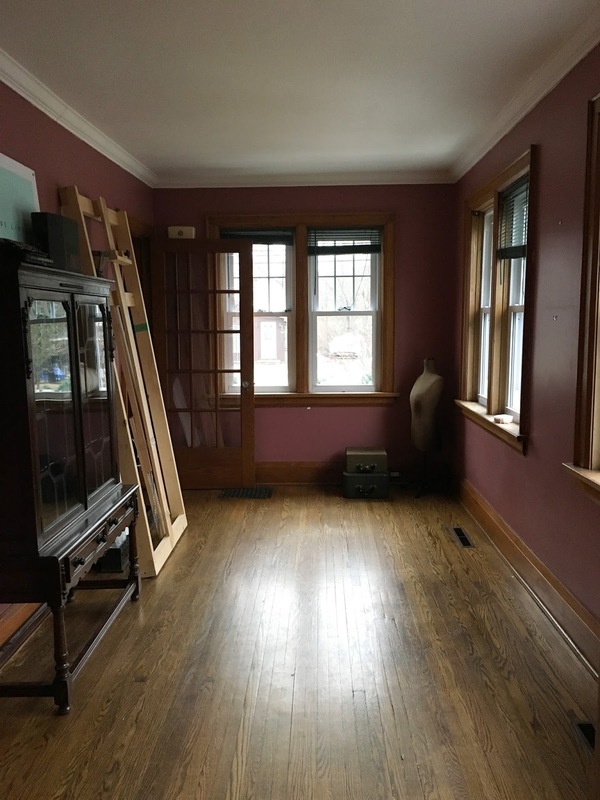 This is such a cute house and there's so much potential here! We're in the process of buying a house upstate and will be doing some fixing up, too... it's so intimidating! Water stains are perhaps the most obvious indicators of water damage, apart from the unmistakable presence of actual standing water.